The United States congratulates the Government of Iraq and the Iraqi Air Force on the reopening of its Air Force Air Academy, which took place at Balad Air Force Base today. The United States and the Global Coalition to Defeat ISIS will support the new Academy by providing mentoring to the Academy’s first class of cadets on topics ranging from aviation safety and flight discipline to officer professional development and familiarity with aircraft technical orders. 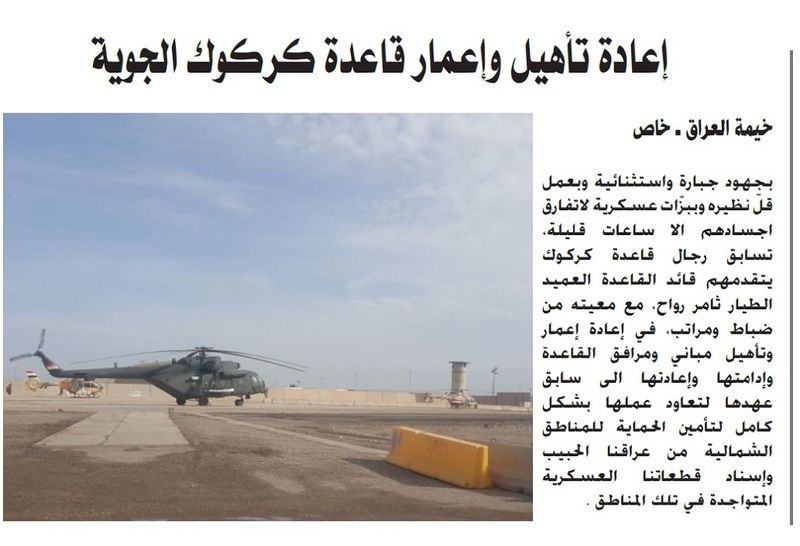 Following Iraqi Prime Minister Haider Al Abadi’s announcement in December 2017 on the full liberation of Iraqi territory from ISIS, the Iraqi government took steps to reopen the Academy’s ahead of schedule, establishing an expeditionary training site at Balad Air Force Base until a final main campus is established. The Iraqi Air Force Air Academy will focus on developing maintenance officers as well as fighter, reconnaissance, and mobility pilots. Iraqi aviators will train on the Cessna 172, Cessna 208, T-6, and T-50 aircraft. The first 40 cadets will begin their coursework in March. Upon graduation from the Academy, pilots will focus on specialized training at various locations in Iraq. Through this support to the Government of Iraq, the United States and the Coalition are helping to build a sustainable aviation institution for Iraq’s future security and defense needs. The Academy is another step in Iraq rebuilding its military institutions, and will give them a structure that will continue the professionalization of their Air Force. still no news on when the new air academy is finished. looks like it will be a while. I wonder if the T-50IQ will be moved to Balad now?